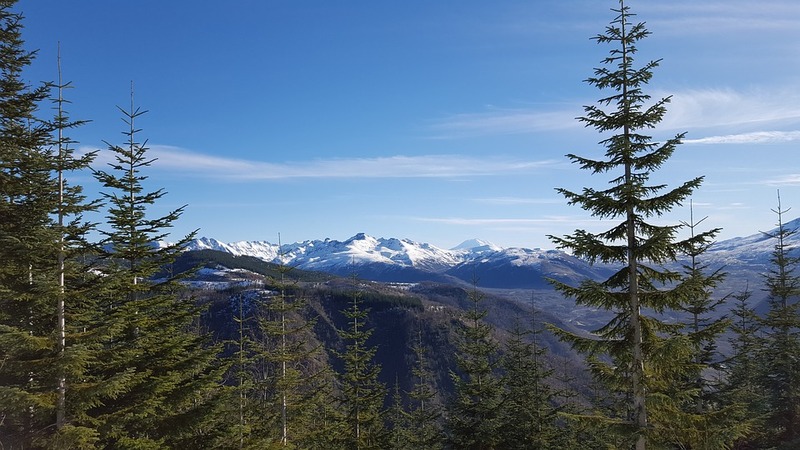 Located in the beautiful Pacific Northwest, Washington State is a great place for those looking for a quiet small town, lively city, or a mix of both! Home to some of the country’s most beautiful forests, waterways, beaches, and more, Washington brings in a multitude of outdoors-lovers throughout the year. For some of the best food, shopping opportunities, and artistic hotspots, be sure to visit one of the state’s lively cities, including Seattle and Tacoma. The state is home to some of the best schools in the country, including Washington State University. The state was officially established into the union on November 11, 1889. The state features a population of 7.288 million. If you are a true adventure, then you will find Washington to be a paradise. Home to some of the most amazing wildlife, a multitude of campsites, and some of the densest forests in the country, Washington is frequently visited by outdoors-lovers. Offering amazing lookout points and many places for camping, Mount Rainer is a great place for rock climbing and exploration. The state is also home to some of the most beautiful lakes and rivers, perfect for fishing and boating. There are many large and lively cities in Washington, each with a personality all their own. A multitude of tourists visit Seattle throughout the year for its amazing arts and culture. Seattle is also home to sports arenas, excellent shopping options, and some of the best restaurants on the west coast. Be sure to bring your family to all the interesting museums, amusement parks, and tour options in Seattle. Other large cities in the state include Tacoma, Spokane, Bellevue, and many more! There are a multitude of beautiful homes and condos in Washington just waiting to be bought. Let Federal Home Loan Centers help you with every step of the home buying process. Apply for your home loan with us today. Still need more information? Check out this article on FHA loans!